Horror is evolving as a genre. Although your local multiplex is still peppered with the usual contenders, look a bit closer and you’ll find the latest drama, thriller, or crime offering is closer to horror than you might expect. In this bi-weekly series, Joey Keogh presents a film not generally classified as horror and argues why it exhibits the qualities of a great flight flick, and therefore deserves the attention of fans as an example of Not Quite Horror. This week, it’s the bleak, dread-inducing true story of one fateful trip up the highest peak in the world, Everest. Everest is a movie in which the titular mountain is the villain. Constantly lurking ominously in the background, it cuts a formidable figure amid the scenic peaks and ice-laden valleys of The Himalayas. It’s the Big Bad. Literally. Characters refer to Everest as though it is a sentient being, warning each other that it has the final say, that it makes the rules and it will inevitably decide who lives and who dies. It may sound clunky when laid out like that but this, the true story of an ill-fated expedition back in 1996, is told remarkably well by establishing the mountain as a force with which to be reckoned from the outset. Given that the story is based in fact, we know that everyone isn’t going to survive (in fact, the body count is quite high for a mainstream movie). More pressingly, those not intimately familiar with the true story on which the film is based don’t know when or how they are going to go. So many things can go wrong and, when everything begins to unravel, it feels as though anything that can ultimately will. Such is Everest’s intense, unwavering power as a dread-inducing Not Quite Horror movie. The same, unshakable sense of foreboding is there when characters are excitedly discussing their upcoming trek, as when certain people start feeling a bit odd once they finally get up there. These characters are never fully in control of their surroundings, obviously, but they’re barely even as in control as they initially think. They’re constantly at the mountain’s mercy, but they refuse to acknowledge this fact to its fullest extent. We watch, desperately, as oxygen tanks are misplaced, characters who are clearly at risk insist on pushing forward, and tensions rise as their biggest fears are exposed. And all the while the darkening storm clouds continue to edge ever closer. Everest shares certain DNA with Vertical Limit, a Chris O’Donnell-starring disaster movie from the year 2000 that deals with a similarly ill-fated mountain expedition. That movie had a Hollywood sheen that made it easier to distance oneself from the characters and their plight. Everest, as fair as it is to these very real people, has no such intentions to soften the blow. The cinematography, although breath-taking in a how-the-hell-did-they-get-that-shot kind of way, causes the skin to prickle as it captures the expansiveness of the landscape. This is particularly true whenever the camera sweeps back and the hikers are glimpsed on their ascent, like bugs climbing up a leaf. Their insignificance in comparison to the massive peak is terrifying. 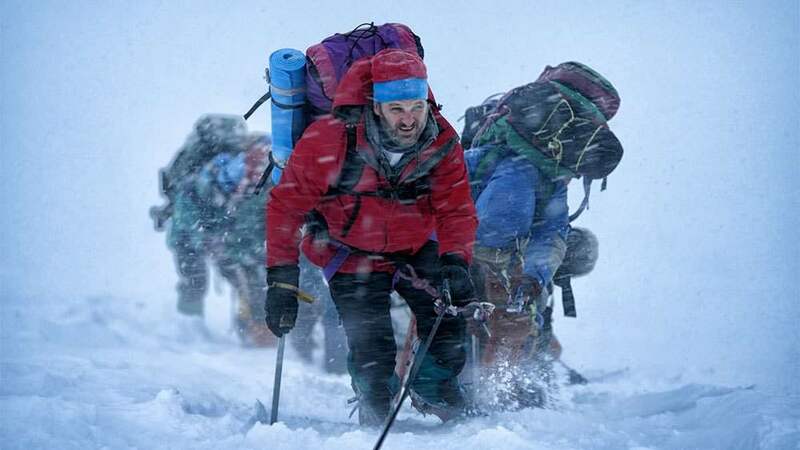 Described as a “biological disaster drama”, a “survival film” and an “adventure film” on its Wikipedia page, Everest incorporates traditional and non-traditional elements to keep the audience on their toes. The movie’s ace card is, much like 127 Hours (with which it shares a screenwriter), its ties to real life. There’s no escaping the fact these are real people, whose bodies are still up there, whose families are still reeling from the loss. It’s profoundly moving in places, as a result, but it’s also quite frightening too, especially in its depiction of how easily, and needlessly, certain people perished. 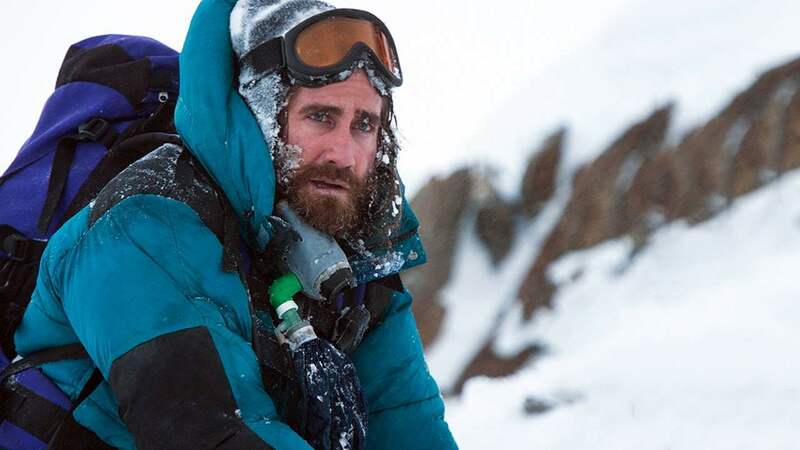 Big-name stars such as Jason Clarke, Jake Gyllenhaal and Josh Brolin are all left at the mercy of the mighty mountain. In a regular disaster movie, they’d all be safe, the heroes of the piece even, but here their lives hang in the balance constantly. One of the most frightening elements to Everest is the back-and-forth between base camp head Helen (played with a convincing New Zealand lilt by Brit Emily Watson) and the climbers. When it comes down to it, she is tasked with communicating to one poor sod, in particular, that no help will be forthcoming and it’s time to say his goodbyes. It would be a poignant moment regardless, but the fact it actually happened adds an urgency to it. Ordinarily, disaster movies move us closer and closer to the edge without ever really dropping us over. There’s a funhouse element to it. Everest dangles a member of the key cast quite early on, before they even get to the summit, to ensure we know that the usual rules do not apply here. Wisely side-stepping most of the cliches associated with the sub-genre, it fixates on the mountain, with the cast left to perish. Everest is based on one of the biggest tragedies associated with the highest peak in the world. The material is handled with the necessary care and attention afforded to true stories. Most of the characters come off well, and there is no human villain to speak of because the mountain itself is the serial killer. The fear is created by waiting, and wondering, to see who falls victim to it next, while knowing at the same time it could be anyone.